The car industry continues to strengthen year-on-year, and 2015 looks set to be an even more intriguing year for petrol-heads and motoring enthusiasts across the globe. This year’s line-up looks far from understated and with the WhatCar? Readers Award on the horizon, it won’t be long before we find out the vehicle that’s topping the lists of motoring fans up and down the United Kingdom. The coveted prize often acts as a successful indication of the cars that will make or break 2015. For luxury vehicles the Jaguar XE looks a serious contender to claim the crown in this segment of the ever-expanding industry. A host of interior features, and an almost futuristic design means that Jaguar’s newest addition is already being widely celebrated, without actually being released. A head start if there ever was one. While it will have to compete with the face-lifted BMW 6 Series, Audi A4 and thrilling Infiniti Q30, it is still expected to cause quite a splash in the luxury car market next year. There are a number of notable new small hatchbacks on their way for 2015 – perhaps most significantly the new Skoda Fabia, Smart Forfour, Hyundai i20 and Vauxhall’s successful looking Adam S. All of these vehicles will hit roads in what appears to be a crowded January. Mini’s Clubman will arrive in October, but the race could be won by then. Looking for the perfect family car? Fear not. 2015 will boast what looks to be a stunning array of the best sizeable, yet skilful vehicles. The new VW Passat has been looking mighty fine in the past few months and interest in the vehicle is through the roof as it continues to power towards its January release. The Passat looks as good a bet as any in the family market, but they shouldn’t start engraving the Car of the Year trophy just yet. It will be challenged by the face-lifted Citroen C4, new Vauxhall Astra and Kia Optima later in the year. A sure-fire success it is not - but the Passat looks the pick of the bunch and has all the attributes to create quite a name for itself. The Large SUV market has been threatening to burst at the seams – a wealth of manufacturers scrapping for this popular sector over the last few years has made for an intriguing 2015. 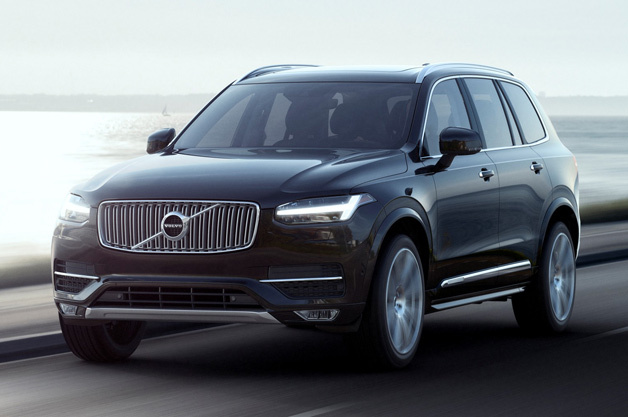 Unsurprisingly, in this most competitive of areas there are a number of vehicles which have caught our eye; first of all the the highly-anticipated Volvo XC90 which has plenty going for it, including impressive CO2 emissions and a plethora of safety systems and features. The vehicle will have to fight off competition from vehicles such as the Land Rover: Discovery Sport in January and the arrival of the Kia Sorento in spring and Ford Edge towards 2015’s closure. The sports car sector could be shaken up by the arrival of the sharp looking Mazda MX-5. With tiger-ish looks but a daintier design (the MX-5 will weigh-in at just 1050kg!) there are strong hopes that the vehicle, much like its ancestors will redefine the sports car scene. We wait with bated breath. The Mercedes AMG GT/GTS looks like a stellar arrival in April/August and its mighty V8 engine will no doubt draw interest from some quarters. Other rivals are the Ford Focus ST, Honda Civic Type-R and Alfa 4C Spider. These vehicles will fight it out for the coveted slot of best-selling sports car over the course of the next year. The small SUV scene is unlikely to be overshadowed by their larger counterparts, offering just as many exciting vehicles that could be gracing our roads. The stand-out is perhaps Honda’s HR-V which will provide uncompromising practicality and interior spacing. The Range Rover Evoque, Suzuki Vitara and Fiat 500X are worth noting as potential upstarts to Honda’s big release, and these vehicles will not bow down quietly - each can consider itself an equal favourite to dominate the market. The Vitara has excellent efficiency; while the Evoque’s minor tweaks will a make a major improvement. The convertible is making a steady return to the heady heights it enjoyed during the late 50s and 60s and will only be enhanced via the April release of the Audi TT Roadster and BMW 2 Series Convertible. Ford’s Mustang looks a sparkling autumnal option, and the Lexus RC-F should greet those post-Christmas blues in January.